Even in this age of mass production, the greatest electronic musical instruments are one of a kind. Flights of fancy, these are creations made of pure expression and imagination. And so, seeing something like Love Hulten’s voxarray61 just makes my day. Probably yours, too. 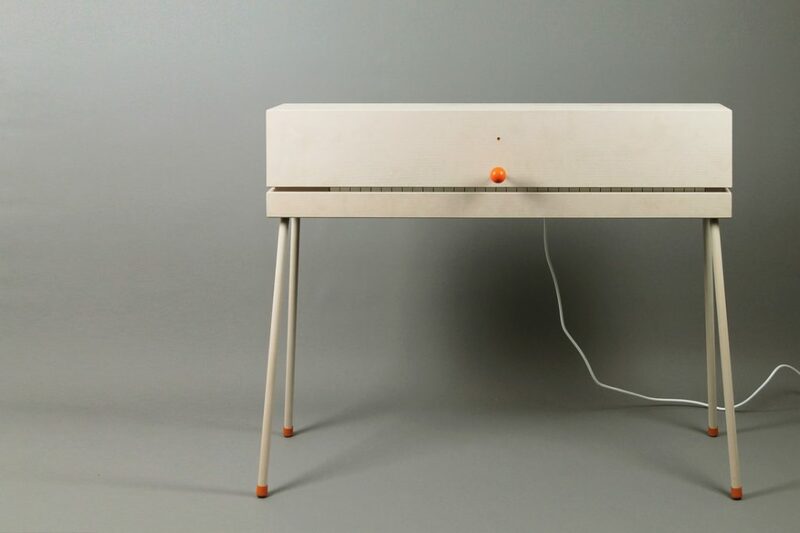 Love Hulten is a designer/builder based in Gothenburg, Sweden. He’s crafting these things as a business, too — something that’s even gotten him a spot on Jimmy Fallon’s late night show. But this creation will make all of us wish we’d just won the lottery. 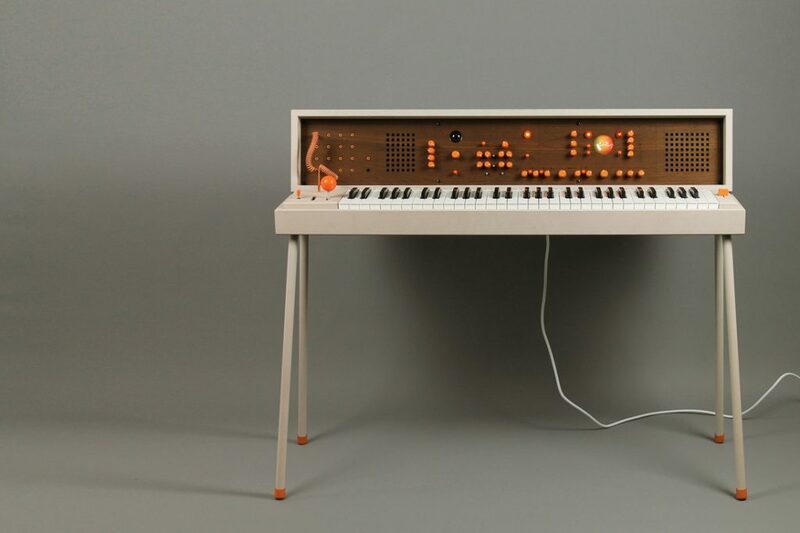 It’s a studio worth of synths – including our very own MeeBlip – packed into a gorgeous all-in-one keyboard case. Visually, it’s stunning – not only retro, but reminding me of some of the East German instruments I’ve seen, a kind of elegant, funky modernism. It’s also functionally clever: all of the devices contained within can be accessed via a patch cord interface on the front. While everyone else just drops lots of modules into a case, this is a thought-out design – arguably ahead of most Eurorack rigs and contained commercial products alike. 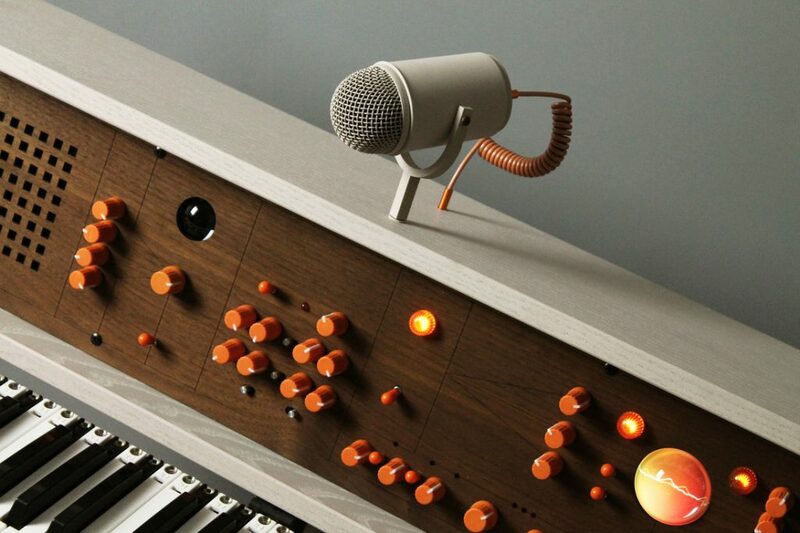 Voxarray 61 is a modular music environment, and a tribute to iconic synthesizers from the 70’s. It’s main body, crafted from ash, is divided into two segments. This clamshell construction rests on a weighty 4-legged stand handmade from steel. 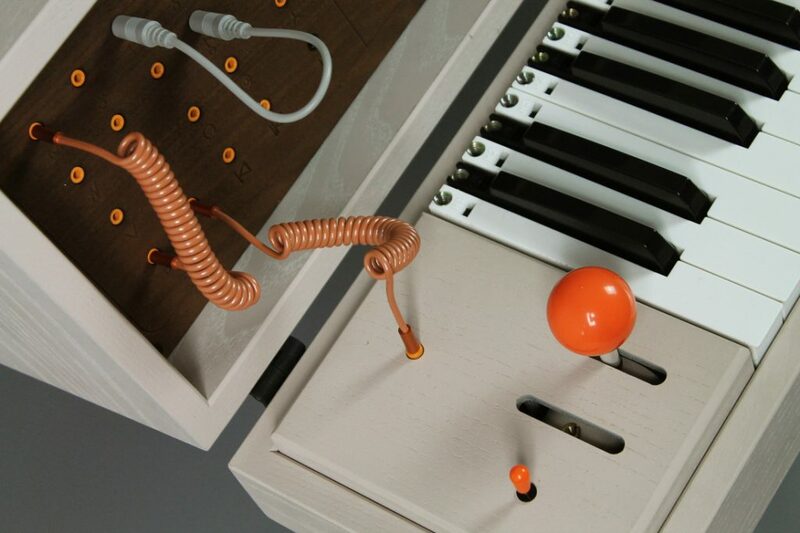 A ball handle applied to fold/open the lid doubles as pitch and modulation when detached and inserted next to the semi-weighted MIDI keyboard. The top lid stores an array of analog and digital audio modules, and like most module synthesizers, they all connect using a variety of patch cords, creating a matrix patching system. To use external devices, just patch them through the matrix. Add the custom-made dynamic microphone on top to complete the setup. Note to self: I should really create a startup and then sell it and then buy this and while away the hours playing it.